bride.barista | planned a wedding, happily married and becoming parents. planned a wedding, happily married and becoming parents. Two weeks ago, Khalisah had bronchilitis and it was probably the worst week of my life ever. 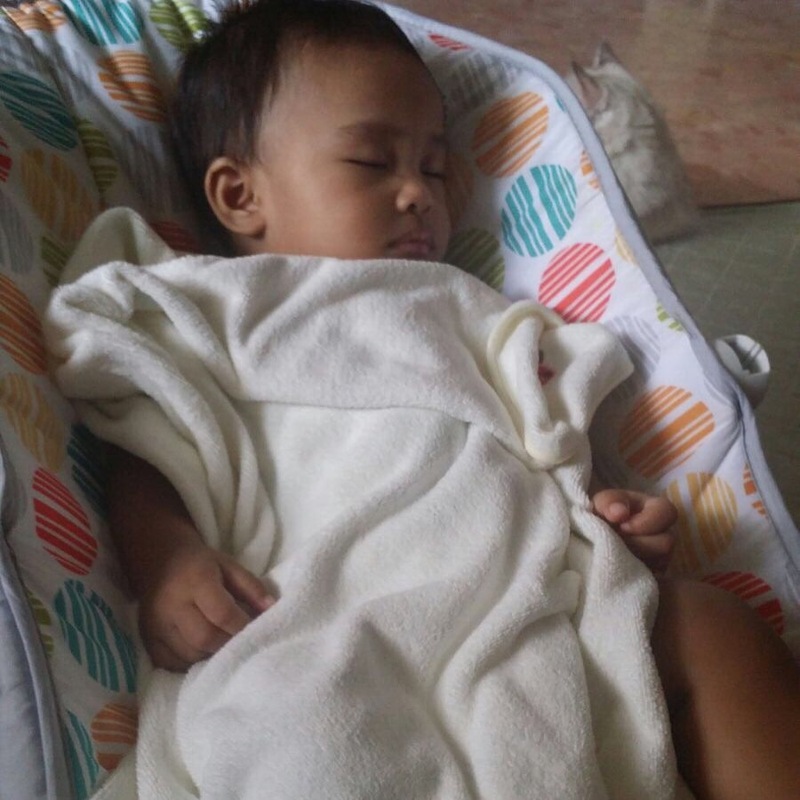 She had runny nose, cough, breathlessness AND fever. Initially we had brought her to Baby Bear Clinic at Woodlands (I wouldnt recommend this clinic) but realised that she wasnt getting any better so we brought her to KKH eventually. Last week, her nose had recovered and her cough and breathlessness were alright already. However we realised that after completing her antibiotics, she started experiencing diarrhoea. She started pooing around 9-10 times on Sunday but it got better on Tuesday. Then on Tuesday night, we noticed that her crying was unusual and she was restless while we were trying to put her to bed. 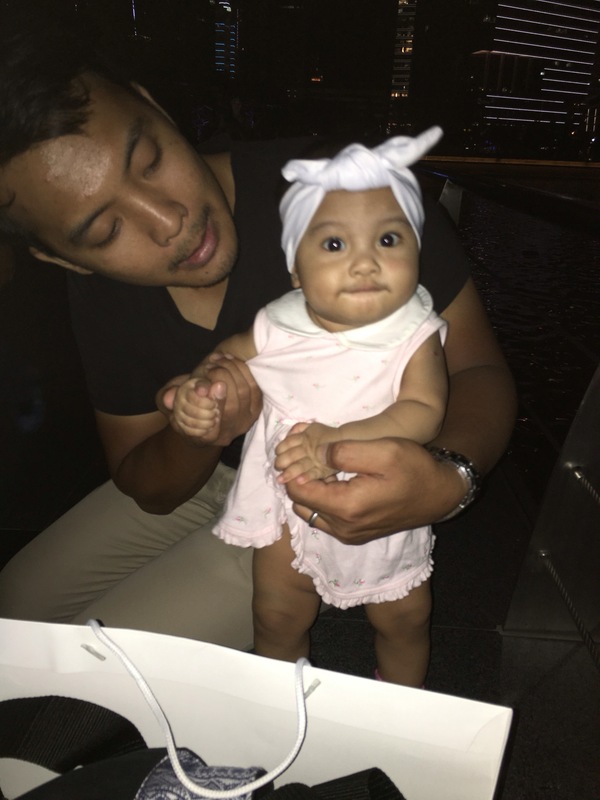 “Maybe her diaper agaknya?” I told my husband. 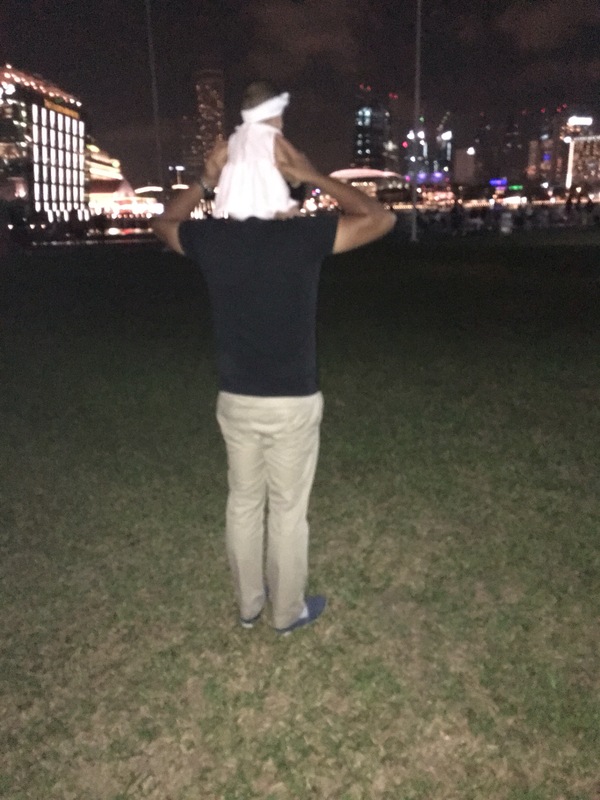 So we switched on the lights and changed her diaper. That was when we knew why she was crying badly and was uncomfortable the whole time. She had the nastiest nappy rash – the worse in 9 months. Her whole vaginal area was red and there were blisters at the area near her tempat berak (sorry I suddenly cant remember what is a more appropriate term for this). 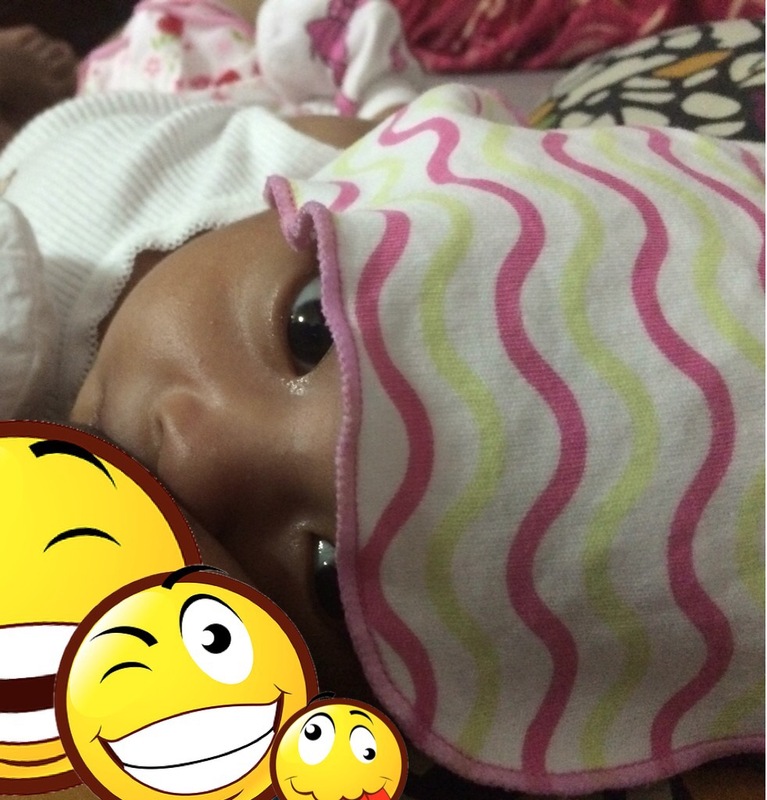 We whisked her away to NUH, and doctor said it was due to the pooing for the past few days. 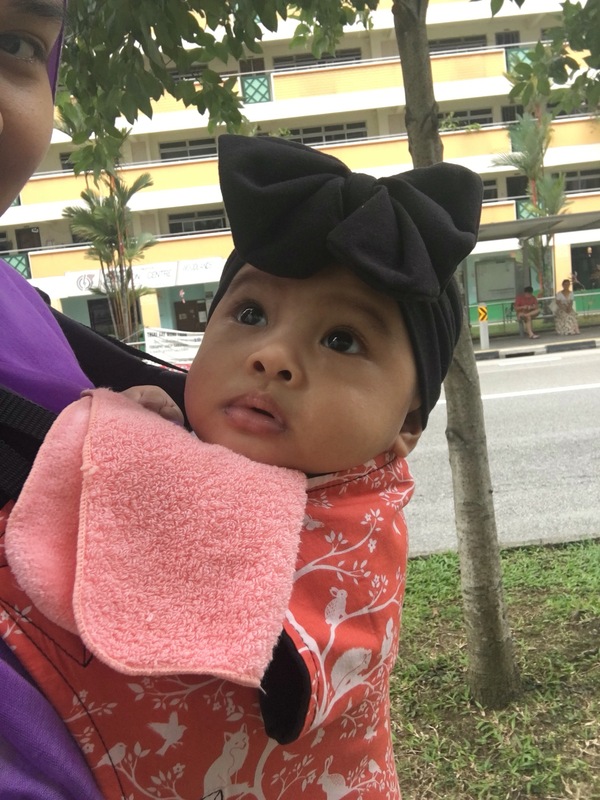 Yesterday while I was at work, my mum texted me to say that Khalisah had vomitted a couple of times within a short period of time and was pooing nothing but water out. I came home in the afternoon and monitored her. I thought all was okay until last night, she woke up suddenly from her sleep, sat on the bed and started vomitting and pooing at the same time. After I cleaned her up, she vomitted two more times before I decided to bring her to the doctor again. Doctor said it was a viral infection and her diarrhoea would take close to 5 days to recover. 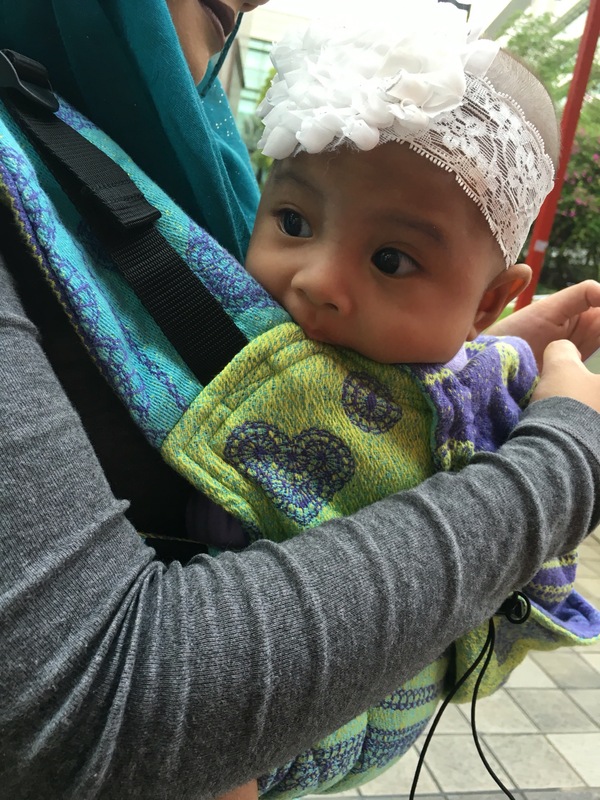 What hurt me the most is to have her experience all that discomfort for another 5 days – and not to mention, her dwindling appetite for both food and milk. I should be the sick one instead of my daughter. But me being me, I always strive to find a positive note in the midst of these negativity. 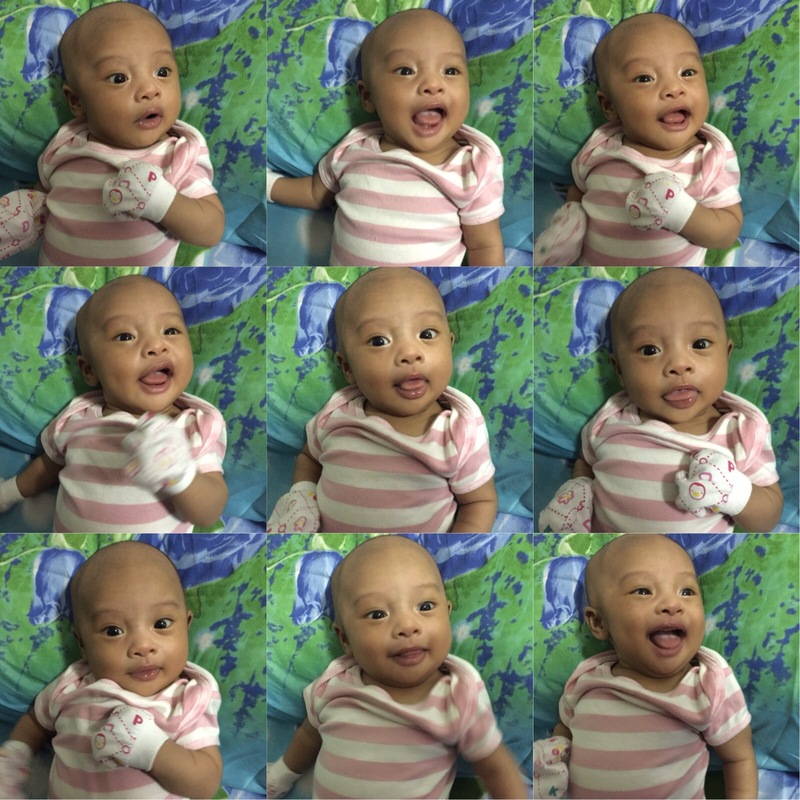 We had the most awesome two weeks of June hols together (she was well and active) and this sickness is just another phase of her growing up. We probably spent our nights surveying flight and accommodation. 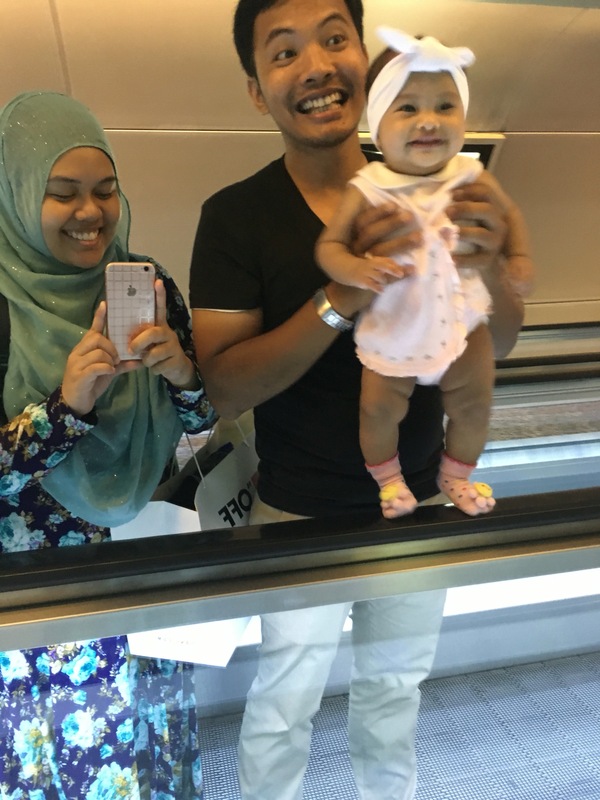 Why we planned to do this THIS year was because we had planned to buy a resale flat in September next year and before the bulk of our finances get pumped into our new home (In Shaa Allah), might as well we go on a holiday as a family before crazy starts. However, Allah has a different plan for us. 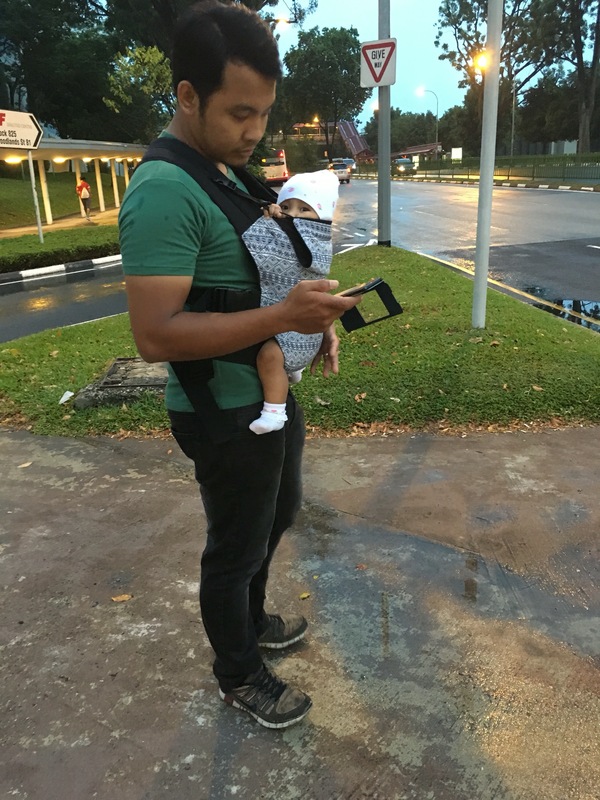 The same week we were indecisive on a chosen holiday destination, I suddenly found myself exhausted from the weekly shuttle between Jurong and Woodlands, after 8 months of doing so without any complaints. Told my husband about it and he admitted that he was feeling the exact same thing too. He was tired of having to spring-clean the Woodlands house every week we’re there and I wasnt particularly happy that whenever we return to the Jurong home, our bedroom will be messy, no thanks to my teenage younger sisters who have not learnt to clean up after themselves. We went to bed that night thinking if we could keep our sanity if this goes on. One night after Khalisah had gone to sleep, both of us sat cross-legged on the floor and finally came to a consensus that we HAVE TO buy our house this year. 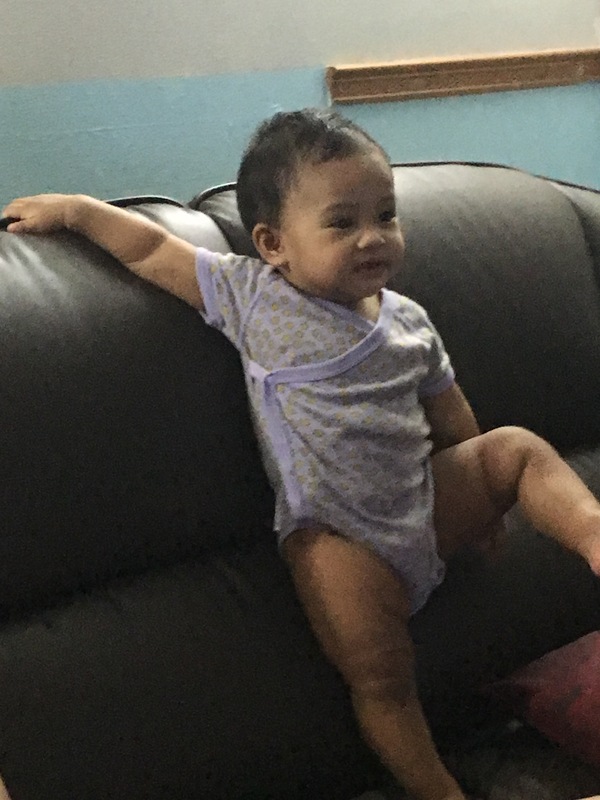 My husband came across a listing on propertyguru of an apartment for sale at the same block as my parents’, so that it’ll be easier to send Khalisah to them since we dont own a car (yet, haha). Both of us thought that this might just be a perfect solution to our problem and albeit having to properly save for the reno and miscellaneous cost, this is definitely better than shuttling between two houses on a weekly basis. Funny how something that we never thought would be a problem would eventually be a problem in time to come. Sorry to burst your bubble but honestly, nothing will go wrong with KL hahahahaha. Accommodation murah, makanan Halal bersepah and there are things to do there. 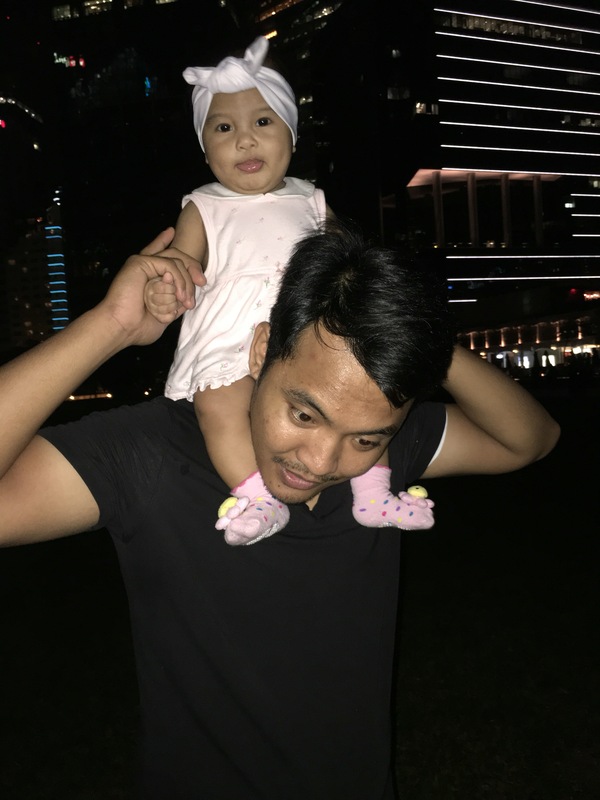 My husband has NEVER been to KLCC his whole life and the last time we were there, we only had 2.5 days to enjoy KL. This time, In Shaa Allah, we will be there for 7 days ah amek kau. 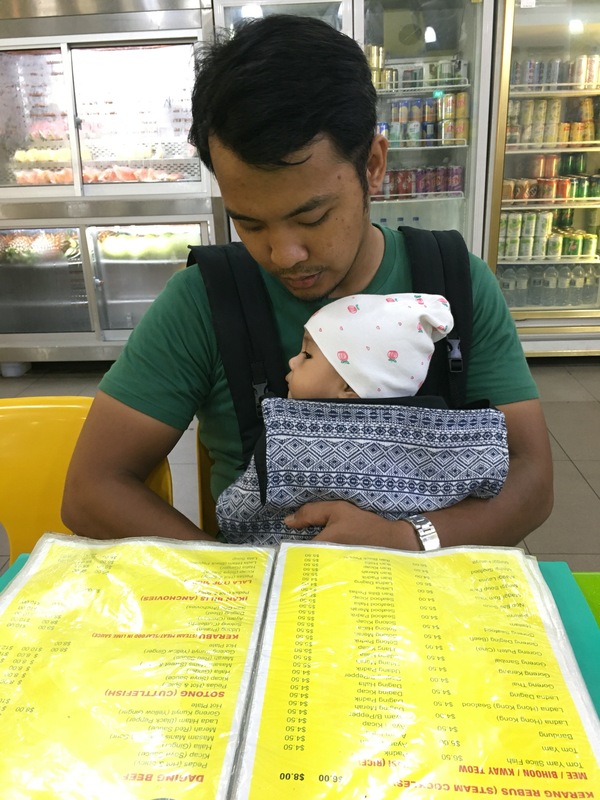 Whenever we go out lately, my husband would insist on babywearing Khalisah in our Connecta. I think he loves the Connecta because he mentioned that this is the best carrier we ever had so far. I have to agree because its compact-ibility is top-notch. 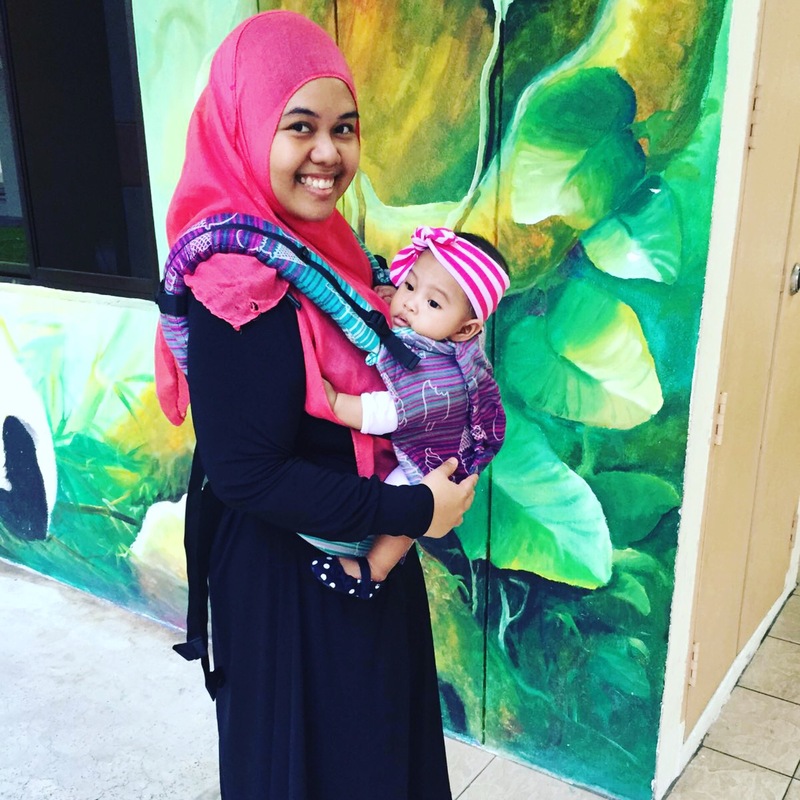 And Khalisah can now fit into our Tula! I guess rotating between the two carriers would be a great idea. But the thing is…. I am itching to get another Connecta! SOMEBODY TIE MY HANDS PLEASE. 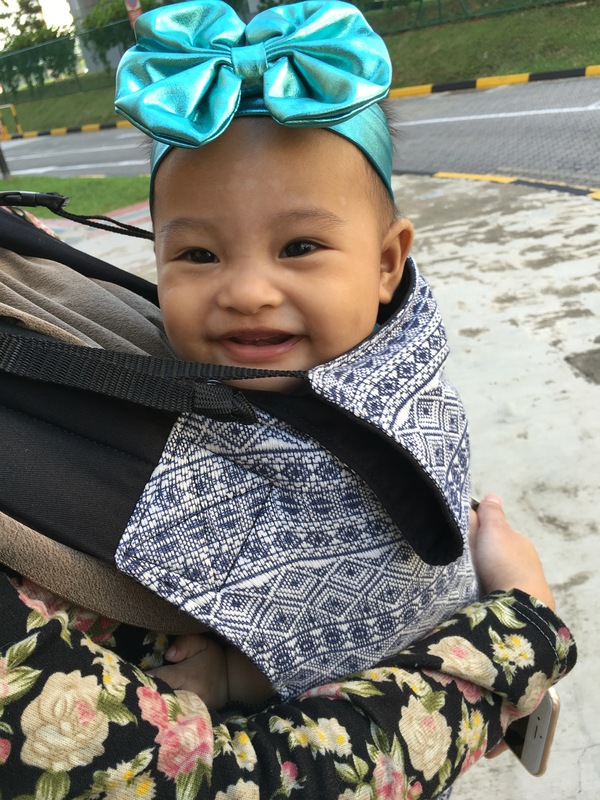 arfa khalisah’s 6 months old! This blog has been sadly neglected after I started work in January. Work is piling up like nobody’s business but no point talking about it here since it’s gonna pile up for the next 10, 20 years anyway, haha. 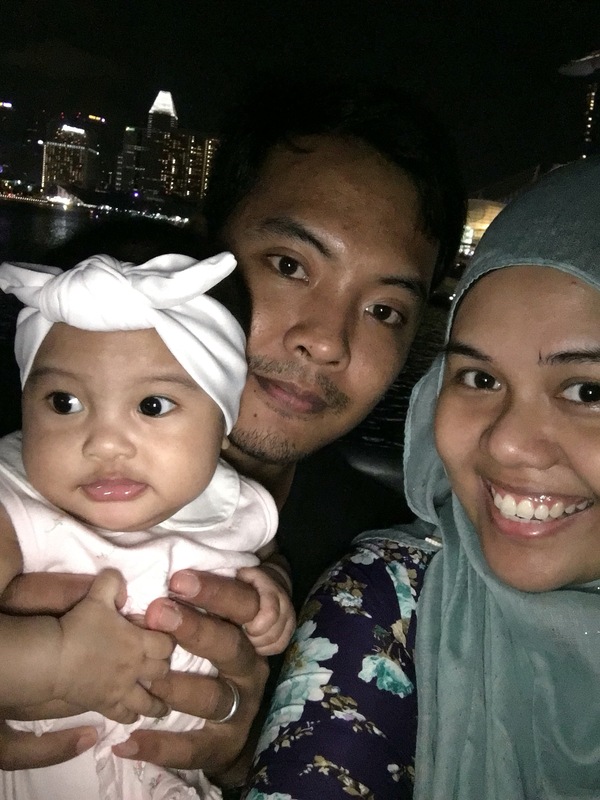 Our Arfa Khalisah is already six months old! She can now sit on her own and is starting to crawl so we need to watch her ALL the time now. It’s easy at my mum’s place since my family members are always around to keep an eye on her but very tough back at our place since it’s a maisonette (the stairs and I dont go well together) so if you’re around the vicinity and you feel the ground shaking, dont panic. It’s just me running up the stairs from the kitchen to the bedroom to grab her wet tissues or something. She smiles a lot now (that trait is honestly from me, no shame but really it’s true) and she is nursing every 4-5 hours, depending on how full she is from her breakfast, lunch and dinner. And I’ve finally decided to destash the carriers that I had and keep my Didymos Indio Connecta which I bought from the official Connecta website! I am utterly pleased with the Connecta cos Khalisah falls asleep everytime she’s in it. Not long naps though, but I’ll take any nap time she gets. Short naps better than no naps, heh. 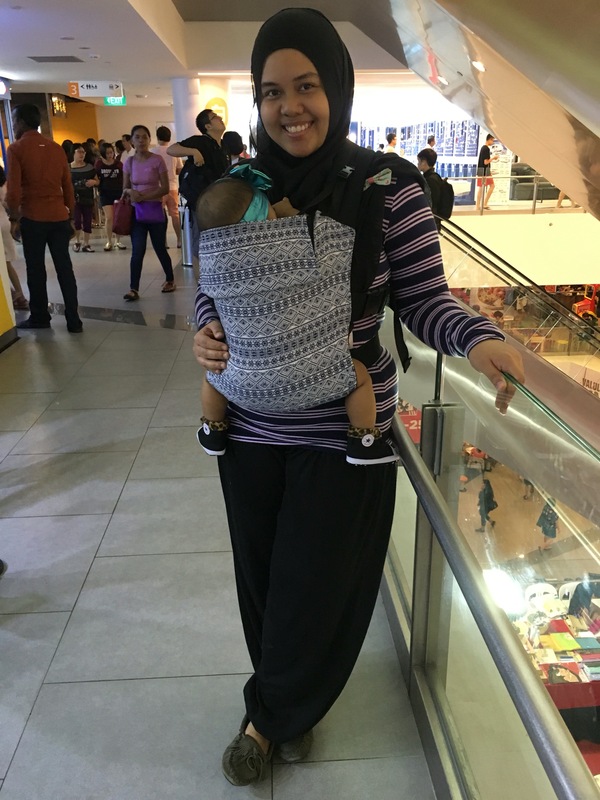 Traded my Purple Sky Lace Lenny Lamb for this Tula Alpaca Hearts carrier with a US mama few weeks ago. 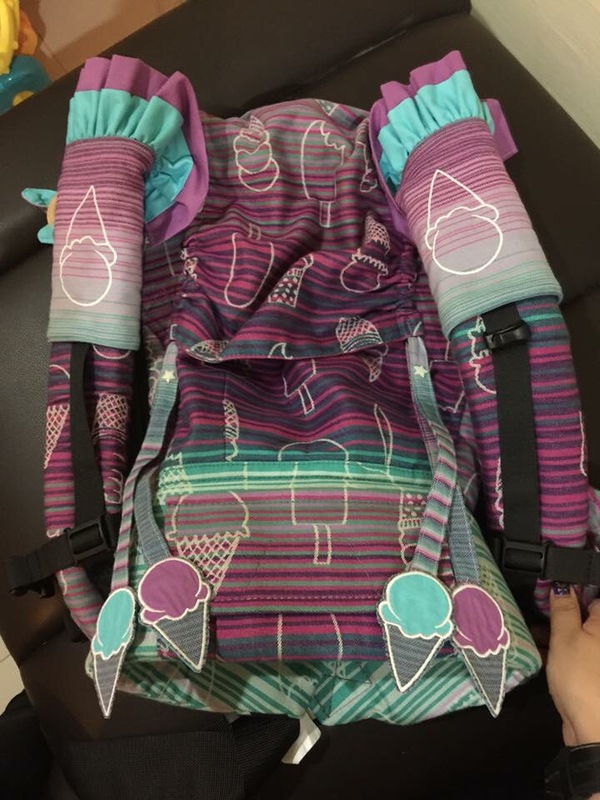 I figured a Tula would be easier to sell since I am destashing (keeping only my Amelia Sundae Sweet Tula WC and Didymos Indio Connecta) so I am trying my luck selling at various local babywearing FB groups. 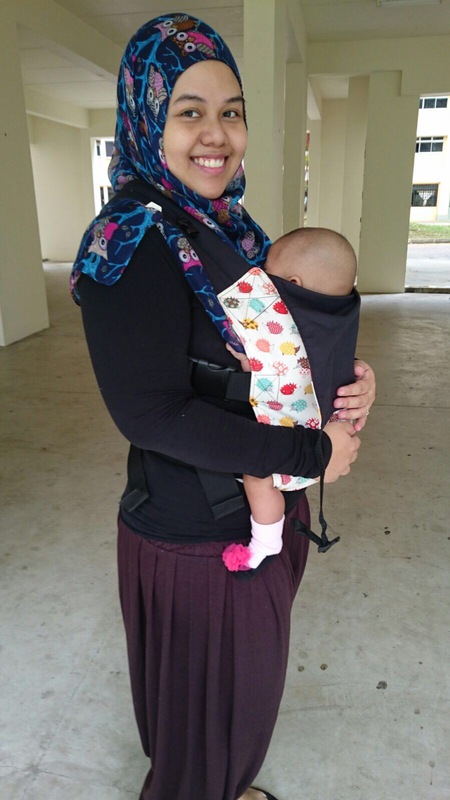 So I’ve already jumped onto the babywearing bandwagon and it’s a (happy) problem because just the other day my colleague said to me, “You’ve fallen into the rabbit hole of carriers. Mati already.” Hahaha. 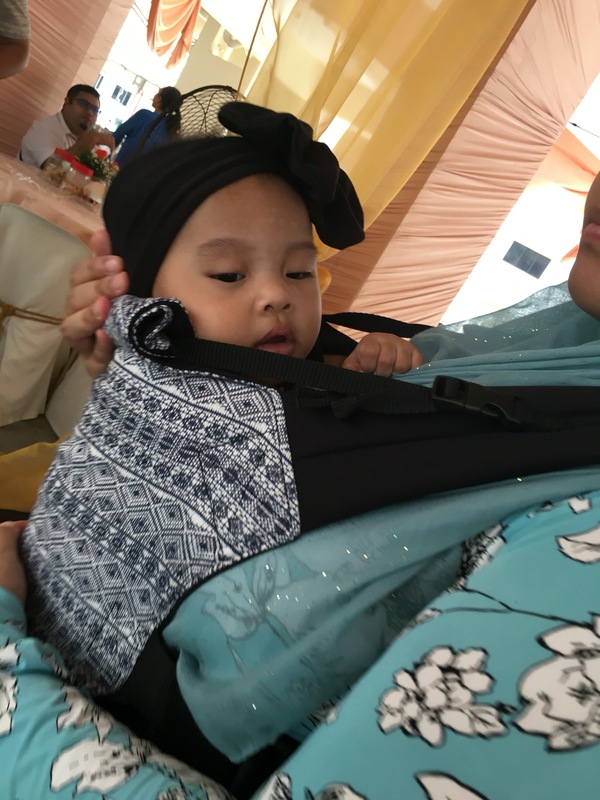 If anyone recalls, I first bought a Standard Palette Tula when I was six months pregnant but sold it to a friend after using it twice cos my husband felt it was too hot a carrier and he didnt want Khalisah to perspire so much. I then bought a Mint Lace Lenny Lamb which was mad love cos it was so soft and floppy and full of sleepy dust! But I sold it cos I was then crazy over the Purple Sky Lace LL. 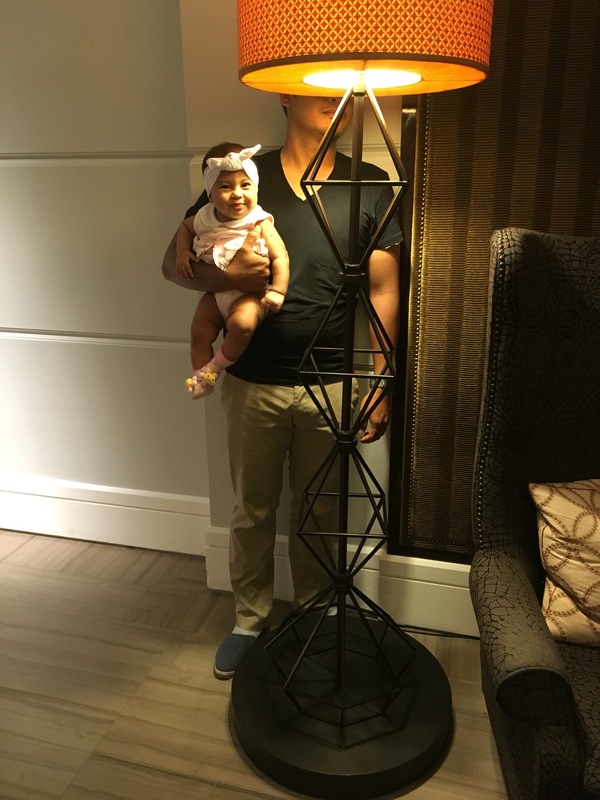 After I got my Purple Sky Lace, my husband said the material would make his baby perspire (yup he said his baby – he forgot who pushed out the baby tau). To be honest, I was quite pleased (gila seh) cos that meant I would have the chance to buy another carrier! 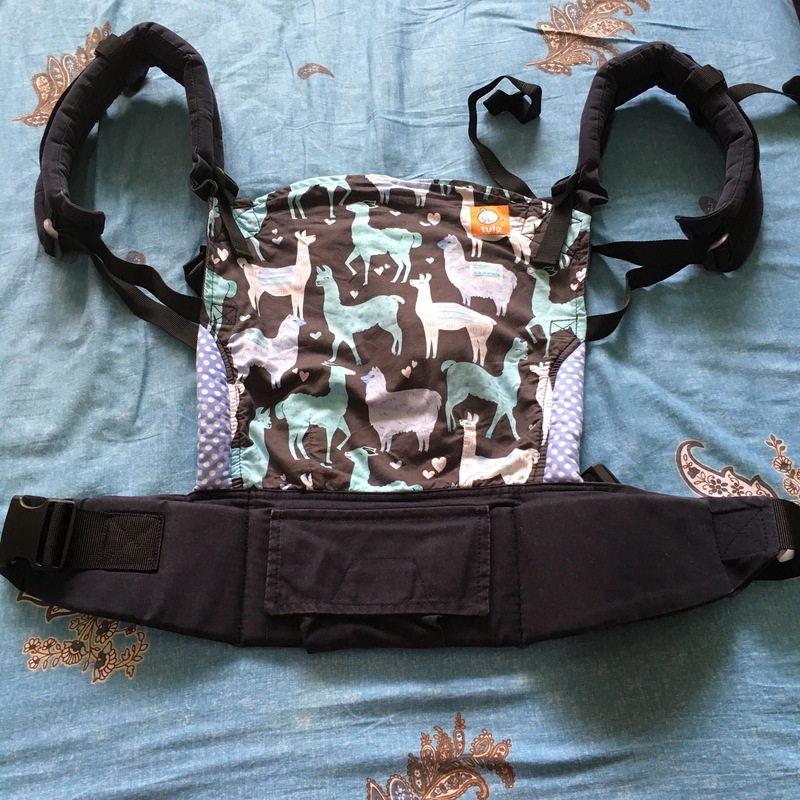 I then bought the Hedgiehog Connecta which is so fuss-free and grab-and-go kind of carrier. My husband loves the Connecta so if he’s happy, I am happy too. Then I decided that I should have another Connecta to be put at my parents’ place since we stay there during weekdays! Then I bought a Vine Connecta from a UK mama at such a steal that made me such a happy goober, I swear. With one LL and two Connectas, enough already right? Nooooo cos I fell in love an Amelia Sundae Swirl WC Tula! So I went ahead and bought it without hesitation hahaha. Mampus. If my husband hadnt said that we should start saving for our home renovation, I would have bought a fifth one, I think. Found this draft unpublished from 27 Oct 2015. I cant stop smiling now! Today, I got a little exasperated with my sweet Khalisah. She woke up bright and early at 7.15am when her father’s alarm rang (and it didnt help that the alarm tone bunyi mcm some rifle from WWII please). We were able to play with her for a good 15 minutes before she started crying. Even after sending her father to the door to go to work, she was still sobbing. So she was then fed. From 8.15am to 9.30am. Gave her a nice, warm bath before she cried again. Fed her again from 10am to 11.30am. She was asleep (or rather, she looked like she was asleep) so I sneaked away to take a shower, only to come out of the bathroom, seeing my sister carrying her around the house to calm her down. 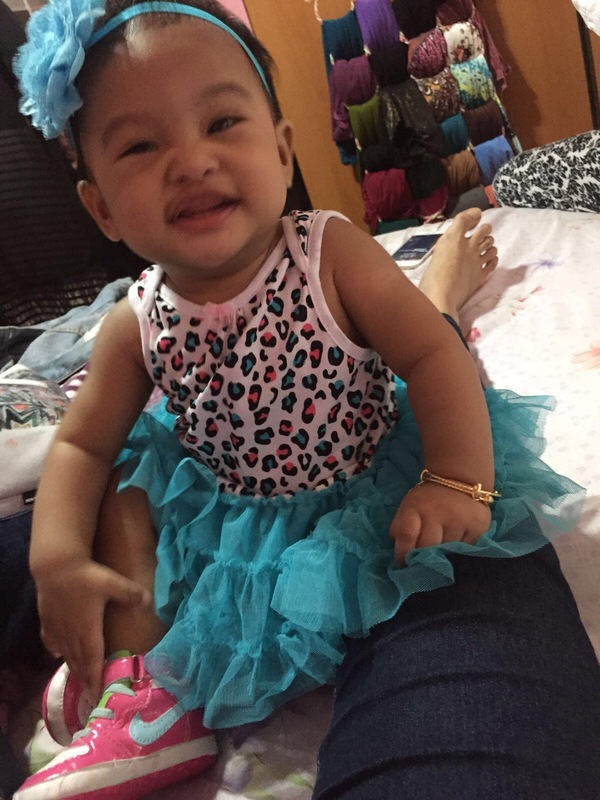 Khalisah cried even louder when she saw me and that made me kanchiong and somewhat disoriented. I even rummaged through her pile of clothings to look for MY clothes – that was how kanchiong I was. Fed her again to calm her down from 12.30pm to 2pm. Again, she went to sleep after that. In the middle of having lunch, she cried again so I had to gobble up my food before attending to her. Distracted her for a little bit but was fruitless. She was still crying non-stop. So she was fed again from 3pm to 4.30pm. She didnt fall asleep after that so I bathed her. She cried again while I was putting on her clothes and all and my sister carried her while I had my shower. Khalisah fell asleep after that for a good 30 minutes before waking up at 6.30pm to cry again.